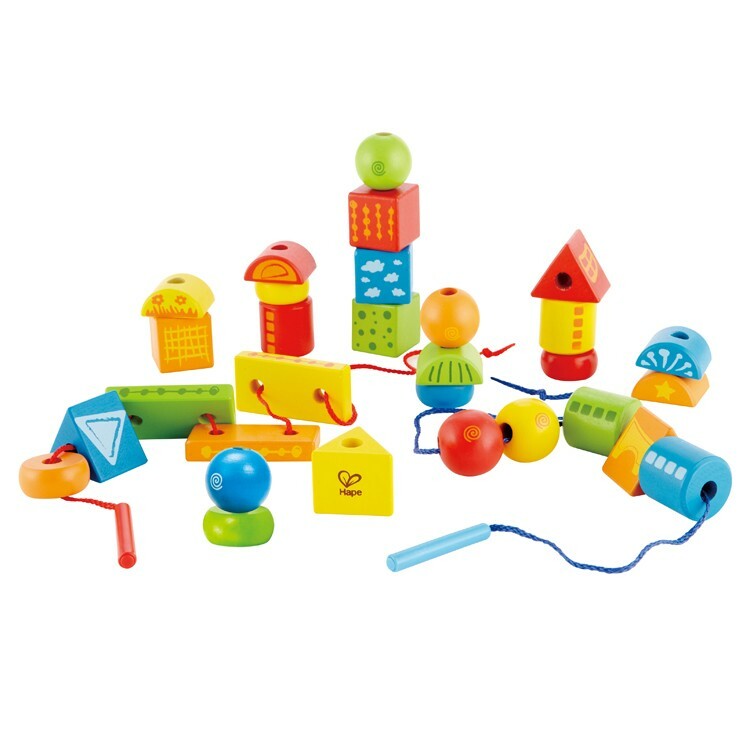 Lace the bright color blocks, count the wooden beads, make a necklace, build a colorful caterpillar out of blocks - with this preschool kids lacing toy the play possibilities are endless. 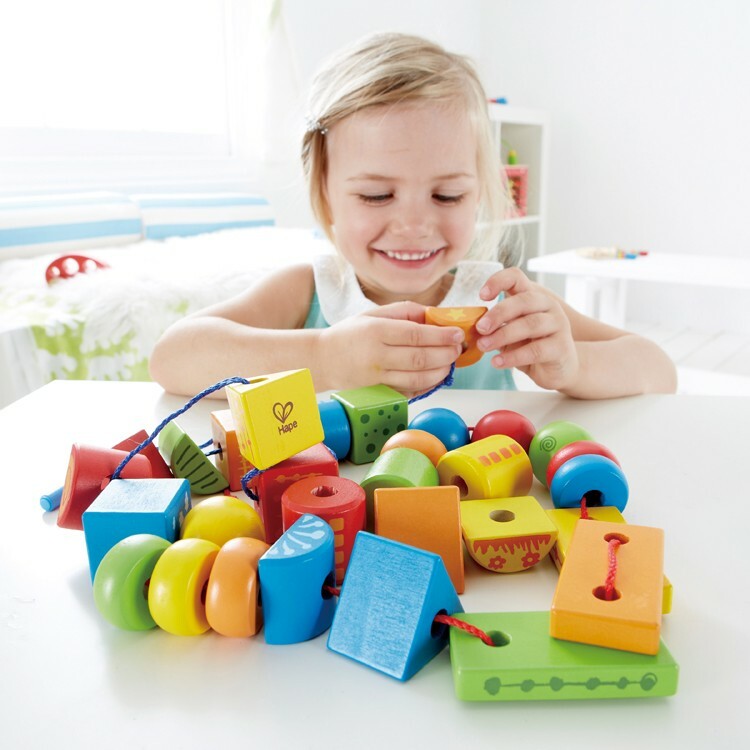 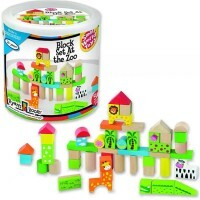 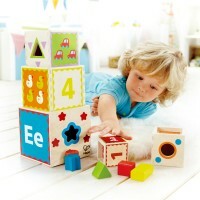 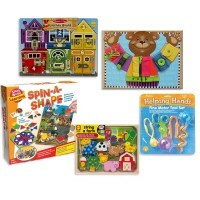 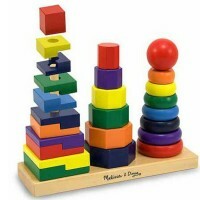 This super colorful wooden blocks lacing set from Hape lets your child learn basic shapes, colors, counting. 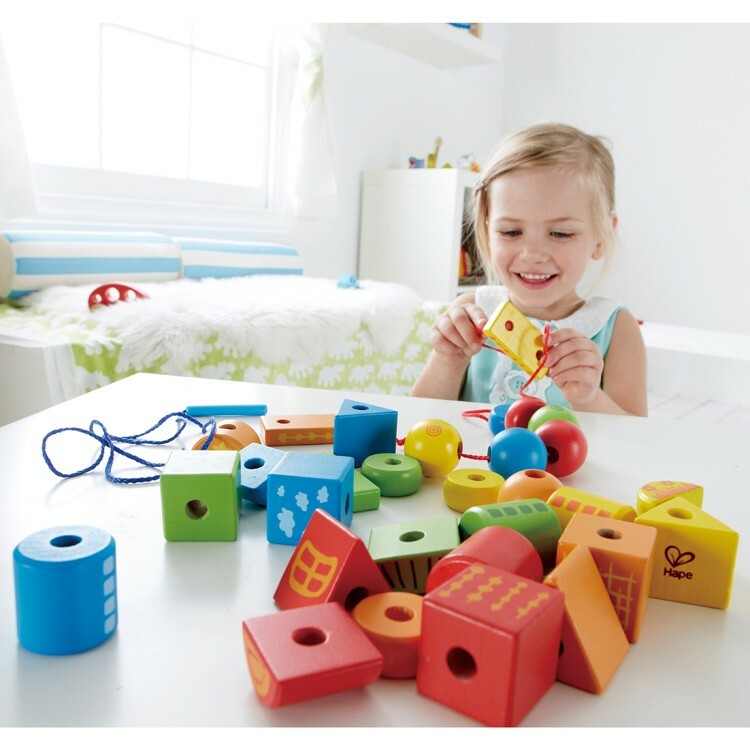 String Along Shapes Wooden Lacing Blocks Set promotes creativity and manual dexterity as children lace the shapes and play. 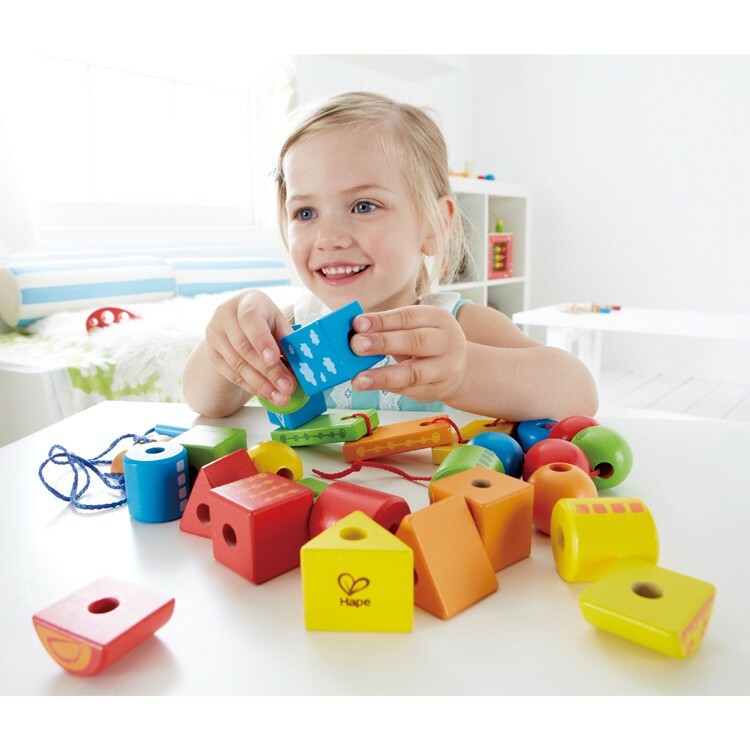 String Along Shapes Wooden Lacing Blocks Set from Educational Toys Planet features 32 sturdy wooden beads with different patterns and designs on their sides. 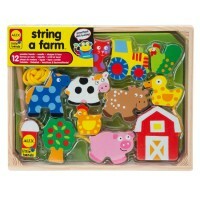 This first lacing set includes an extra-long lace with kids safe lacing plastic needles. 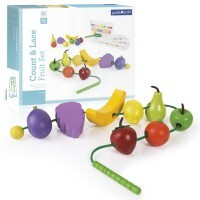 Lace for fun, count wooden beads, make a necklace, build a colorful caterpillar out of blocks - with this preschool kids lacing toy the play possibilities are endless. 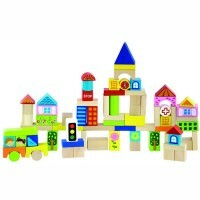 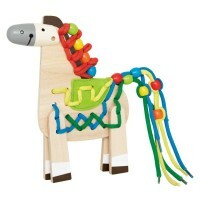 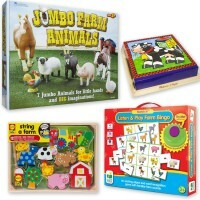 This Hape's toy is made with quality wood and water based paints, perfectly safe for the youngest players. 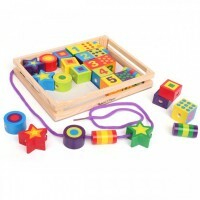 Dimensions of package 9.53" x 10.08" x 3.07"
Write your own review of String Along Shapes Wooden Lacing Blocks Set.